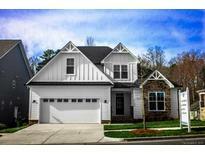 Find Kannapolis, NC New Homes for sale. View Photos, Maps and MLS Data Now! Seller will consider all aspects of your loan including but not limited to the following: Purchase Price Cash vs finance and type of financing involved DDF EMD DD timeframe Closing date and location. MLS#3467721. CK Select Real Estate. Come see this one before it's gone! Some Photos are representative. MLS#3479918. Chase Real Estate. Property is still under construction and photos are representative of the finished home. MLS#3479917. Chase Real Estate. Minutes from downtown Kannapolis, restaurants & major highways. MLS#3491007. Golf Realty, Inc.
Large, open, and flat lot is perfect for someone that enjoys outdoor space. MLS#3489675. EXP REALTY LLC. Kellswater Bridge - Don't miss out, come visit today! MLS#3487913. Eastwood Homes. Kellswater Bridge - Don't miss out, come visit today! MLS#3487914. Eastwood Homes. Covered rocking chair front porch. Large level lot. MLS#3485018. Southern Homes of the Carolinas. Kellswater Bridge - Moldings and baseboard will not disappoint. MLS#3487127. Realty Point. Kellswater Bridge - Upstairs is a large open loft style living space. MLS#3487098. Realty Point. Kellswater Bridge - Moldings and baseboard will not disappoint. MLS#3487138. Realty Point. 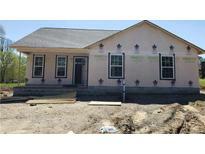 Great 3 bed/2bath new construction! Beautiful color scheme MLS#3483824. Lantern Realty & Development LLC. Known for their energy saving features, our homes help you live a healthier and quieter lifestyle, while saving you thousands of dollars on utility bills. MLS#3481559. Meritage Homes of the Carolina. Known for their energy saving features, our homes help you live a healthier and quieter lifestyle, while saving you thousands of dollars on utility bills. MLS#3481572. Meritage Homes of the Carolina. Suburban Woods - Bedrooms will have carpet, bathrooms tile and living/kitchen laminate wood floors. MLS#3478373. CK Select Real Estate. We do have other styles and sizes available as well. MLS#3474772. Southern Charm Realty Inc.
Large, open, and flat lot is perfect for someone that enjoys outdoor space. MLS#3472490. EXP REALTY LLC. Kellswater Bridge - Come see this beautiful home today! MLS#3464489. Eastwood Homes. Known for their energy saving features, our homes help you live a healthier and quieter lifestyle, while saving you thousands of dollars on utility bills. MLS#3465015. Meritage Homes of the Carolina. Known for their energy saving features, our homes help you live a healthier and quieter lifestyle, while saving you thousands of dollars on utility bills. MLS#3465088. Meritage Homes of the Carolina. Known for their energy saving features, our homes help you live a healthier and quieter lifestyle, while saving you thousands of dollars on utility bills. MLS#3465041. Meritage Homes of the Carolina. Kellswater Bridge - Add the 2x6 energy efficient exterior walls, your days and nights will be filled with thoughts of savings! MLS#3463433. H&H Homes Realty, LLC. Kellswater Bridge - And the private homesite that no one will ever build behind you? CHECK CHECK CHECK! MLS#3460548. H&H Homes Realty, LLC. Known for their energy saving features, our homes help you live a healthier and quieter lifestyle, while saving you thousands of dollars on utility bills. MLS#3460066. Meritage Homes of the Carolina.